While new advancements in printed electronics take place nearly daily, printed electronics as a whole is a fairly new field within the electronics industry. One of the best ways to learn about this field is to read materials from those who are working to advance it. That’s why we at Pannam have compiled our list of the 51 Best Printed Electronics Blogs. Many of our top blogs are not dedicated solely to printed electronics, but they contain valuable and trustworthy information about printed electronics as the field grows. We chose our top 51 printed electronics blogs because they offer high-quality information, are written by leaders in electronics, and discuss cutting-edge technology and forward-thinking ideas relating to printed electronics. Please note, we have listed our top 51 printed electronics blogs here, in no particular order. Drupa represents the largest printing equipment exhibition in the world, and is held every four to five years in Düsseldorf, Germany. The next exhibition is scheduled for May 31 – June 10, 2016. 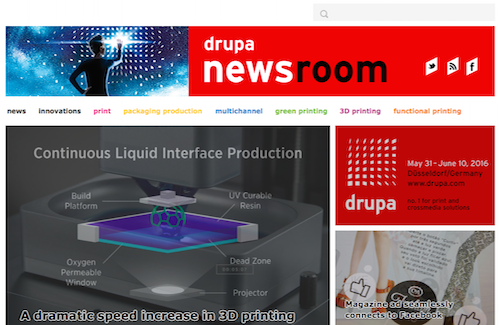 The Drupa Newsroom is the official blog of Drupa and includes the latest information on printing innovations, packaging production, green printing, 3D printing, and more relating to the field of printed electronics. Printed Electronics World delivers global daily printed, organic, and flexible electronics news, as interpreted by IDTechEx experts. The blog is a trustworthy and reliable source of the latest information for printed electronics. 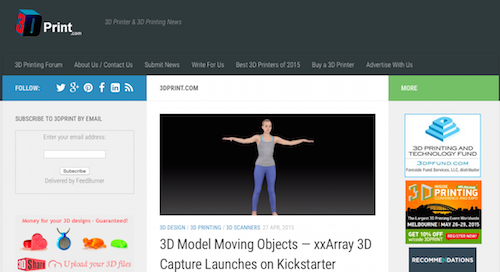 3D Print is a useful source for information and the latest news in 3D printing and 3D printer news. The blog categories include 3D design, printing, printers, scanners, and business, among others, to keep you in touch with 3D printing innovations as they relate to printed electronics. 3D Printing Industry is a leading source for 3D printing news and information. Covering industry reports, business news, and the latest advancements in 3D printing, 3D Printing Industry also features information on 3D printing and its connection to printed electronics. +Plastic Electronics is the leading source of information and analysis for the printable, flexible, and organic electronics industry. You’ll find a glossary of key terms and technologies, an events calendar for key conferences and exhibitions around the globe, and a robust collection of company profiles to help you connect with suppliers, partners, and clients in the plastic electronics industry. Atmel is considered a global leader in micro controller and touch technology solutions. Their blog offers news, insights, and tips on micro controllers, touchscreen controllers, wireless, and other technologies and innovations that are important to printed electronics. Jabil, a global manufacturing partner, combines expertise in engineering, design, and supply chains for the world’s largest brands. Their blog is a comprehensive source of information on those topics, and it also provides news, articles, and features relating to printed electronics. Mentor Graphics is a leader in electronic design automation. Their PCB Design Blog is a useful resource for topics including CAD Library, schematic design, embedded electronics, and more that are of interest to those interested in printed electronics. Eurocircuits is an online PCB prototype and small series specialist. The Eurocircuits Printed Circuits Blog shares their projects, new ideas, and opinions for electronics designers and developers and provides useful printed electronics information. Bay Area Circuits is a PCB manufacturer known for their innovative designs and top-quality production. Their blog features posts about PCB design, double-sided PCBs, Gerber files, and other items of interest in the area of printed electronics. Omni Circuit Boards is an e-sensitive manufacturer of Printed Circuit Boards. The Omni Circuit Boards blog offers tips, commentary, and news for the PCB industry, including printed electronics information. EDN is the “voice of the engineer” and is one of the most trusted and informative online resources for electrical engineers available today. One of the most robust resources for printed electronics online, EDN Network offers more than 46,700 results when visitors search for printed electronics. Sierra Circuits is known for meeting PCB fabrication and assembly needs and has been helping PCB designers and engineers for nearly 30 years. Their blog is packed full of news, features, and videos all dealing with PCBs, microelectronics, substrates, and more information relating to printed electronics. Print Media Centr provides resources and information to the print and integrated marketing community. A search for printed electronics yields some excellent information worth reading. Phil Coldrick is the “Phil” behind Phil’s Patent Picks. He runs IP Scope, a consultancy offering patent advice and patent searching services and has a genuine interest in technology and patents related to printed electronics. His blog covers categories ranging from conductive ink to flexible substrates but mostly focuses on the area of printed electronics as a whole. FESPA is a federation of global screen and printing trade associations and organizes the world’s leading screen printing and digital imaging exhibitions. 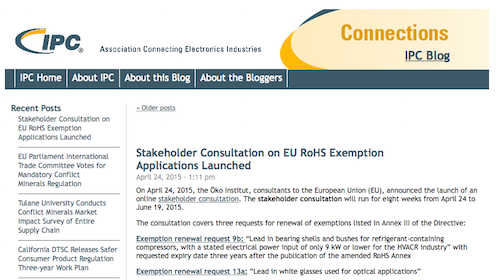 Their blog contains a great deal of information relating to printed electronics. Industrial, functional print and printed electronics: Is there a difference? Make Parts Fast offers online resources and a quarterly magazine for rapid prototyping and rapid manufacturing. A Design World Resource, Make Parts Fast is a great resource for informative printed electronics information. Xerox has been leading document technology and services for more than 50 years. Xerox also is dedicated to innovation and is becoming even more involved in digital business with printed electronics. The Xerox Blogs provide information on printed electronics and are a good resource for news and innovation in the printed electronics industry. Mark A. Spaulding is the blogmaster of The Converting Curmudgeon and the associate publisher and editor in chief of Converting Quarterly. He also has publishing experience with Packaging magazine and Converting magazine. The printed electronics section of The Converting Curmudgeon contains more than 50 posts. Miracle on Film – Starring Graphene? Desktop Engineering specializes in engineering technology, services, and news. Available in print and online, Desktop Engineering offers several informative posts on printed electronics. 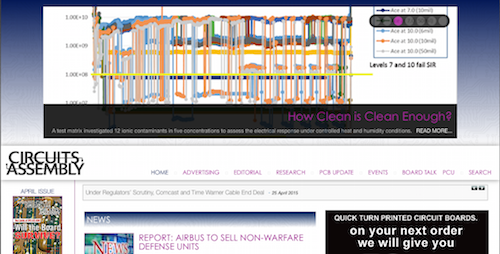 EE Times provides engineers with timely and relevant news, analysis, and opinions. With the goal of “connecting the global electronics community,” EE Times features a wealth of information relating to PCBs and printed electronics. Electronic Design is a top source for emerging technologies for design solutions. 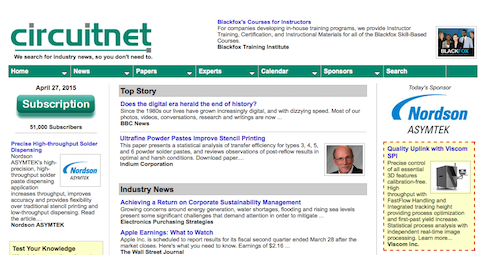 It also is a great resource for the latest news and information regarding printed electronics. Semiconductor Engineering delivers deep insights into the complex tasks of designing, testing, verifying, integrating, and manufacturing semiconductors. Their reports, stories, research, news, and other resources offer important information about printed electronics. Assembly serves the information needs of manufacturing professionals responsible for engineering and managing product assembly operations. A search of Assembly Magazine for printed electronics yields more than 200 articles, making it a robust source of printed electronics information. Circuitnet aims to deliver the best news and information covering the world of electronics manufacturing to their readers. With links to the most reliable and trustworthy expert resources, Circuitnet provides a wealth of information about printed electronics. Circuits Assembly is an online magazine with editorials, research, and news about all things electronics. With archives, editorials, and easily searchable archives, Circuits Assembly is a useful online resource for reading about printed electronics. A leading source for embedded electronics engineering information, Circuit Cellar is a media company that provides reliable content for professional engineers and programmers. With archives dating back to February 2012 and an easily-searched site, Circuit Cellar is a smart go-to source for printed electronics information. Polymer Solutions is a blog that covers the latest in materials science, analytical chemistry, and product innovations. There are several articles available on printed electronics. 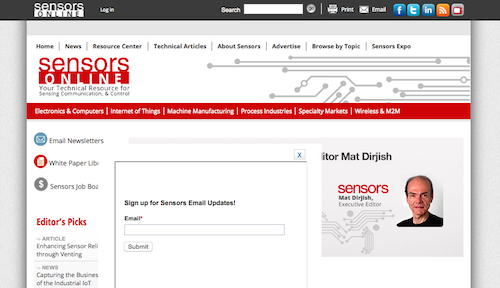 Sensors is a leading website in North America, and their Sensors Online is a technical resource for sensing communication and control. With more than 350 resources available for printed electronics, Sensors Online is a helpful site for learning more about the industry. Solid State Technology offers insights for electronics manufacturing and is a terrific resource for printed electronics and conductive inks information. With links to semiconductors, packaging, MEMS, LEDs, design, events, and more, Solid State Technology is a comprehensive resource for the electronics community. 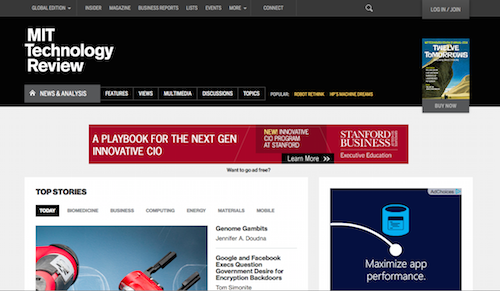 The MIT Technology Review’s mission is to arm its audiences “with the intelligence to understand a world shaped by technology.” As such, the Review offers news and analysis, features, views, discussions, and other information important to technology and electronics. With more than 5,250 sources relating to printed electronics, MIT Technology Review is one of the most comprehensive printed electronics resources available. Anne-Marie Lavigne is an Artist in Residence at the Textile Arts Center and an alumni of the Interactive Telecommunications Program at the TISCH School of Arts, where she researched soft circuitry and conductive materials. Lavigne uses “a combination of computational design, electronics, and digital fabrication” to use “fibers as components in compelling designs and interactive interfaces.” Emeteuz Blog chronicles Lavigne’s work, process, and projects as she explores the possibilities of printed electronics and conductive inks. Structure3D Printing challenges those in the 3D printing field to “go beyond plastic.” Their blog is “for makers with an affinity to 3D printing paste materials” and features videos, how-tos, and news and information about innovations in 3D printing. Advanced Circuits is a top source for prototype and production printed circuit boards. Advanced Circuits prides itself on being a leader in PCB industry quality and innovation. They approach their blog in much the same way, by providing information pertaining to PCB topics and the associated industries, as well as insights into PCB design, tech trends, assembly issues, and other general news relating to PCB technology. Is Waterproofing for Printed Circuit Boards Near? 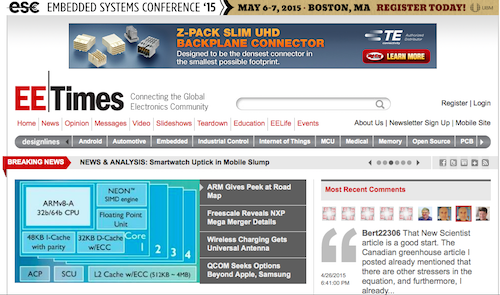 New Electronics delivers up-to-date news and trends regarding the electronics sector. Intended for electronic design engineers, New Electronics is a resource for printed electronics information, as the site contains more than 100 articles on the subject. Lux Research, Inc. is an independent research and advisory firm that provides strategic advice and ongoing intelligence on emerging technology. For printed electronics, Lux Research offers a long list of trusted resources including articles, research reports, and more. The printed electronics group at the University of California, Berkeley, shares news about their projects and publications through the Printed Electronics @ Berkeley Blog. 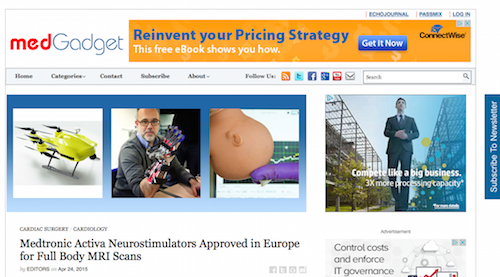 The blog serves as a link to some of the latest printed electronics research and innovation coming out of UC Berkeley. As the leading source for industry standards, training, market research, and public policy advocacy, the IPC Association supports the needs of the global electronics industry. Their Connections blog is meant to share the latest IPC news and the thought leaders’ opinions in order to connect with the electronics industry. Tech Design Forum is an online electronics system design resource. 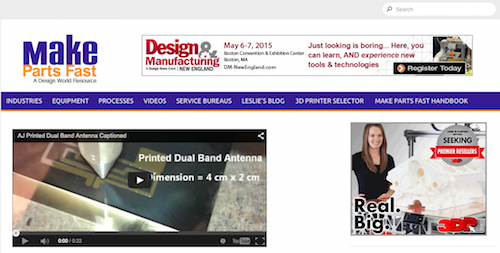 Their blog includes links to expert insights, articles, and news relating to printed electronics. Wohlers Talk is the blog of Terry Wohlers, industry consultant and President of Wohlers Associates, Inc., a firm that tracks additive manufacturing and 3D printing. In the blog posts, Wohlers offers his views, perspective, and commentary on printed electronics and related industry topics. Tangio are experts at rapid prototyping, and their force sensors are used in a variety of novel applications. 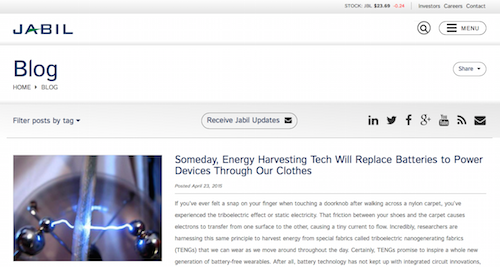 Their blog offers news relating to printed electronics and keeps readers up to date with articles covering printed electronics, sensitive electronics, force sensors, and other industry-related topics. 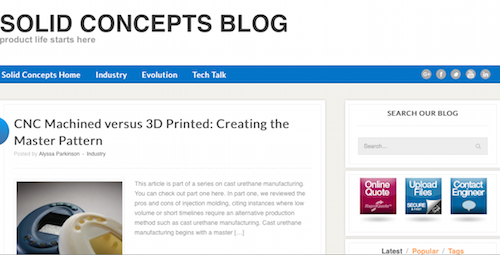 Solid Concepts has become Stratasys Direct Manufacturing, but the Solid Concepts Blog is still a valuable printed electronics blog. Solid Concepts “is the largest dedicated provider of additive manufacturing/3D printing, rapid prototyping, tooling, and injection molding services in North America,” making their blog is a reliable source for printed electronics information, with a wealth of information from people who know the industry so well. IEEE Spectrum provides the latest technology news and analysis from the world’s leading engineering magazine. A source of nearly 600 printed electronics-related articles, IEEE Spectrum is a great place to search for the printed electronics information that you need. Electronics Weekly delivers the latest tech news for electronic components, printed electronic products, and design. A search of their blog yields nearly 300 results for printed electronics, making Electronics Weekly a smart site to visit in your quest to learn more about printed electronics. AIMCAL is the “global forum for the flexible metallizing, coating, and laminating industry by providing resources, services, and information.” The official technical magazine of AIMCAL, Converting Quarterly covers web-processing technologies, laminating, film manufacturing, flexographic and gravure printing, a variety of finishing methods, and printed electronics advancements and innovation. 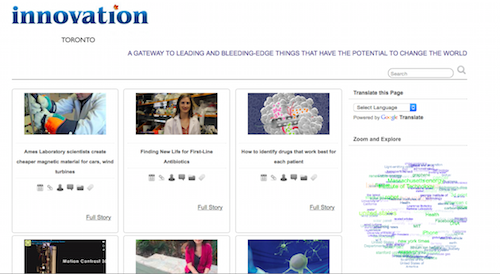 Medgadget is an independent publication that is edited and published by a group of medical doctors and biomed engineers. Medgadget provides the latest medical gadgets, technologies, and discoveries, including advancements in printed electronics for the medical field. According to Gizmodo, “everything is technology.” This design and technology blog is part of the Gawker Media network and offers several articles relating to printed electronics. NanoPRO supports nanotechnology-based companies in reaching new markets, sourcing new customers, and promoting the benefits of their products. The NanoPRO blog extends their promotion of nanotechnologies and is a source of “meaningful discussions regarding the nanotech business community and associated value chains.” As such, the NanoPRO blog is a good source for printed electronics news and information. Innovation explores the world in search of the things that can greatly impact us. After 14,000+ articles, Innovation Toronto is a comprehensive site that acts as “a gateway to leading and bleeding-edge things that have the potential to change the world,” including printed electronics. Adafruit is an eclectic mix of teaching, sharing, engineering, DIY electronic kits, open source hardware, Arduino, raspberry pi, art, hacking, and more. 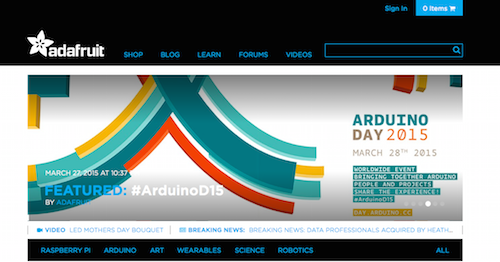 Adafruit offers several articles on printed electronics, including the latest news.